As the candidate field for the 2020 Democratic nomination for president grows more crowded by the day, former United States Secretary of Housing and Urban Development Julián Castro announced over the weekend—in both English and Spanish—that he is embarking on a presidential bid of his own. 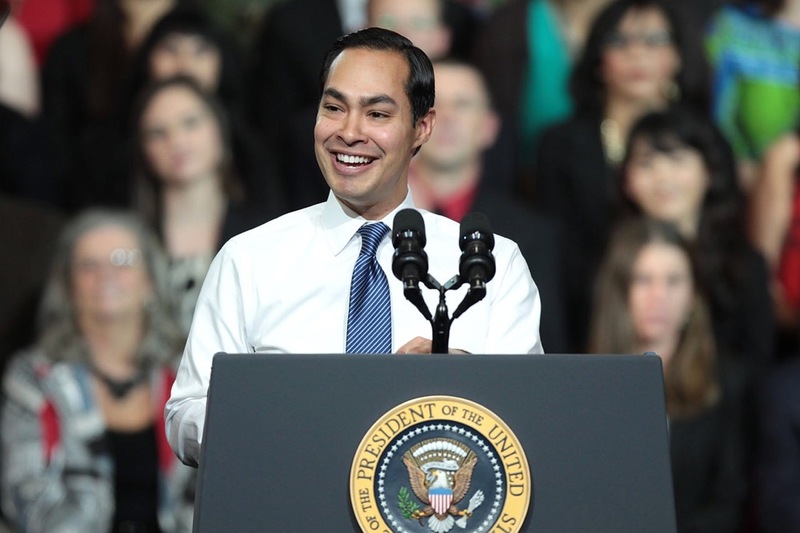 The 44-year-old San Antonio, Texas, native served as HUD Secretary for over two years under President Barack Obama and was briefly considered as a vice presidential pick for 2016 Democratic nominee Hilary Clinton. Prior to his tenure in the Obama administration, Castro served as the mayor of San Antonio for five years. During his time as HUD Secretary, Castro worked to create the National Disaster Resilience Competition, a federal program supported by the Rockefeller Foundation that awarded $1 billion for resilient housing and infrastructure projects to states and communities that were impacted by major disasters between 2011 and 2013. That sum was in addition to over $18 billion in conventional government funding awarded to disaster-stricken communities during the Obama administration. Castro also led the expansion of lead safety protections in federally assisted housing and helped to institute the Affirmatively Furthering Fair Housing rule to "finally fulfill the full obligation of the Fair Housing Act,” according to a 2017 memo. Castro also continued initiatives started under his predecessor that contributed to a dramatic decrease in the number of American veterans experiencing homelessness. While mayor of San Antonio, Castro successfully inaugurated a plan to bring “high-quality, full-day pre-k” to the city’s residents. In announcing his presidential bid over the weekend, Castro, citing a “crisis of leadership” under President Donald Trump, pledged to refocus American society to become “the smartest, healthiest, fairest, and most prosperous nation on earth.” Castro’s platform includes instituting universal healthcare, reforming the criminal justice system, and expanding access to higher education, among other initiatives. In a nod to his time at HUD while referencing a growing housing affordability crisis around the country, Castro also pledged to “work to make sure every American has a safe, decent, and affordable place to live.” To help achieve this aim, Castro also pledged to “invest in housing that is affordable to the middle class and the poor.” Castro also stated his support for a Green New Deal, a nascent policy initiative in the works from Democratic politicians, like Congressperson Alexandria Ocasio-Cortez, that aims to transition the American economy away from fossil fuels and toward a sustainable and socially-just economic system. Castro pledged that as his first executive order as president, he would recommit the United States to the Paris Agreement, the global initiative aimed at keeping the temperature increase resulting from anthropogenic climate change under two degrees Celsius. With affordable housing and climate change increasingly in the news, expect more presidential hopefuls to highlight their plans for addressing these issues. Massachusetts Senator Elizabeth Warren, who announced her candidacy in late December 2018, for example, has already unveiled an ambitious affordable housing proposal of her own. If elected, Castro, the grandchild of a Mexican immigrant, would become the first president of Mexican descent and the first former HUD secretary elected to the nation’s highest office. A $450 million plan for the treasured historic site of The Alamo in downtown San Antonio is causing a stir. Architects, planners, professors, patriotic preservationists, and the public are in disagreement over a rejuvenation scheme that looks to open up the plaza but relocate a historic cenotaph in the process. The Alamo Mission (commonly known as just "The Alamo") is home to the 18th Century chapel, Shrine of Texas Liberty, and is a UNESCO World Heritage Site. A 1930s cenotaph erected in tribute to the Texian and Tejano defenders who were killed in an 1836 Mexican onslaught is at the center of the debate. 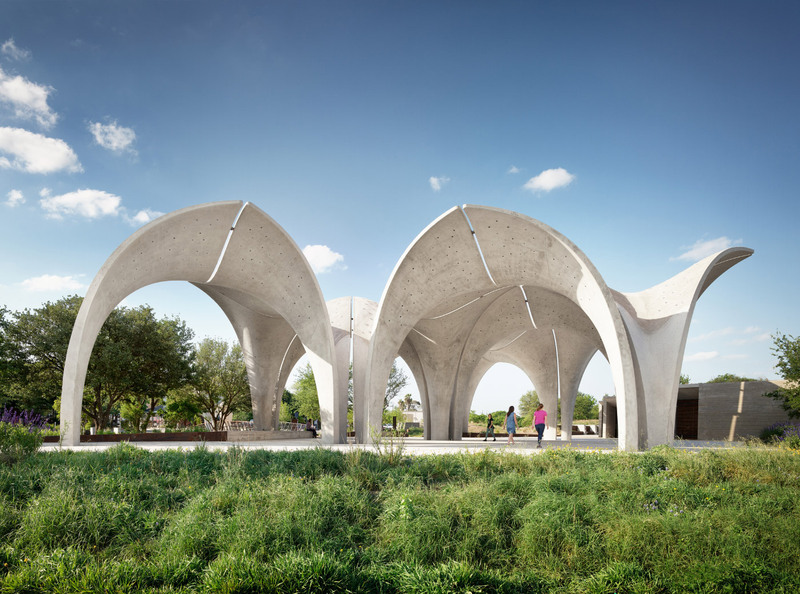 The plan devised by nonprofit Alamo Endowment, the Alamo Commission, the city of San Antonio, and the Texas Land Office, looks to move the cenotaph to declutter the plaza and allow it to become a space for events. To improve access, perimeter walls that enclose the state-owned Alamo Gardens would be removed. These, unlike the cenotaph, are not historic and their removal, according to officials, would add approximately five acres to the site. The walls would also be partially replaced by glass walls too. 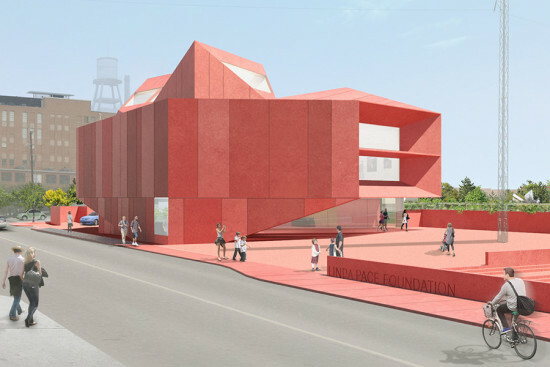 Of the $450 million, $110 million will be used to renovate and repurpose three buildings (owned by the state) as a museum. The historic battlefield site is a top destination for Texans and tourists alike, attracting around 1.6 million every year. Plans to modernize the site aim to triple these figures over a decade and add 2,000 jobs to the area. 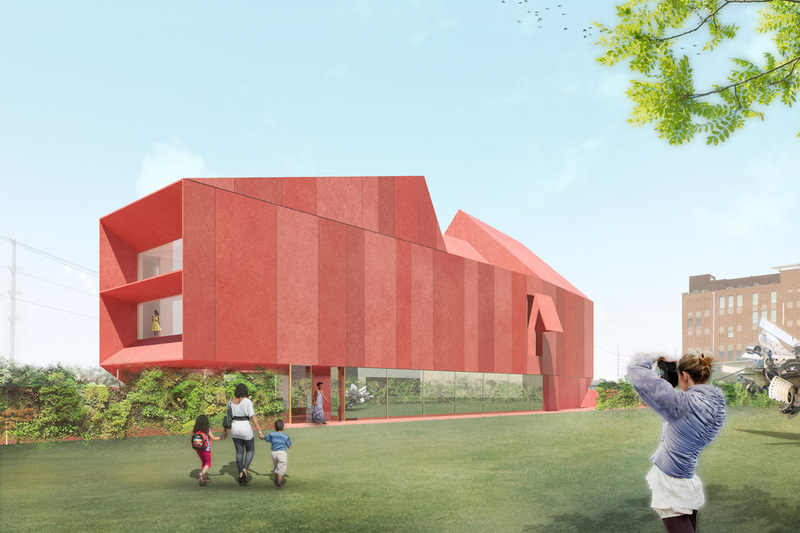 "A lot of the children that will be going to this museum and to the compound are not even born today," Gene Powell, an Alamo Endowment board member told the City Council. "Technology is going to change. Children are going to want things that are more exciting and more fun. They want to be able to see things." Some, though, are not impressed: "This proposal represents a failure to address the real concerns and needs of visitors and heritage tourists who are asking to see more of the Alamo—not aesthetic landscaping," wrote Glenn Effler in the San Antonio Express-News. "The re-created acequia and the trees are little more than window dressing, a cosmetic treatment to a historic battlefield that is in dire need of inspiring interpretation." Effler is a senior member of the Alamo Plaza Project and board member of the Alamo Society. His letter in full can be read here. Local resident Susan Green, speaking to the San Antonio Express-News, was also skeptical of the proposed master plan. She was worried that the glass walls would be "a stark, modern looking contrast to the architecture in all of downtown." In light of the scheme's criticism, though, a number of architects and others in the architecture discipline penned a letter of support for what they described as a "great beginning to a plan that should lead to a transformative place." As architects, we believe that the Alamo Master Plan in its final form can restore both the Alamo and the integrity of this historic place in our city. We applaud this incredible effort. All the residents in our city and our state want this plan to succeed. To be a vital destination for everyone, it is equally important to have the plaza be a dynamic and welcoming civic space as it has been for the past 200 years—perhaps the most memorable place in the state. Like all good master plans, the first plan is the beginning of the conversation. 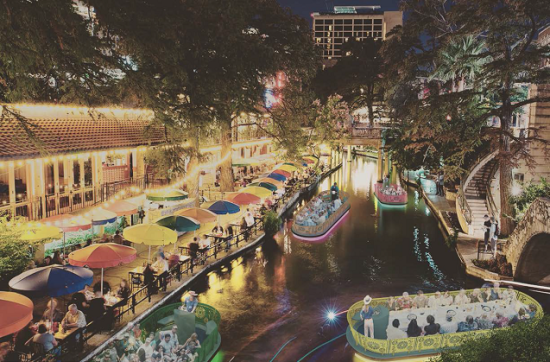 We should honor the Alamo and Alamo Plaza by having a thoughtful “listening” period to allow the plan to get better (building upon the successes of the River North, Broadway, Hemisfair and South Town Master Plans). Alamo Plaza should be a memorable place for residents and visitors to return to again and again. A place that strengthens our city. On May 11, we hoped the City Council will approve the master plan conditional on the need for a continuing process that keeps the plaza as a connected civic space rather than a controlled-access outdoor museum. The plaza must be a welcoming and integral part of our city, balancing the historic aspects of the Alamo with the civic needs of the plaza. The master plan creates new walls to the north and a west acequia which are not in historic locations and confuse the integrity of the battlefield. 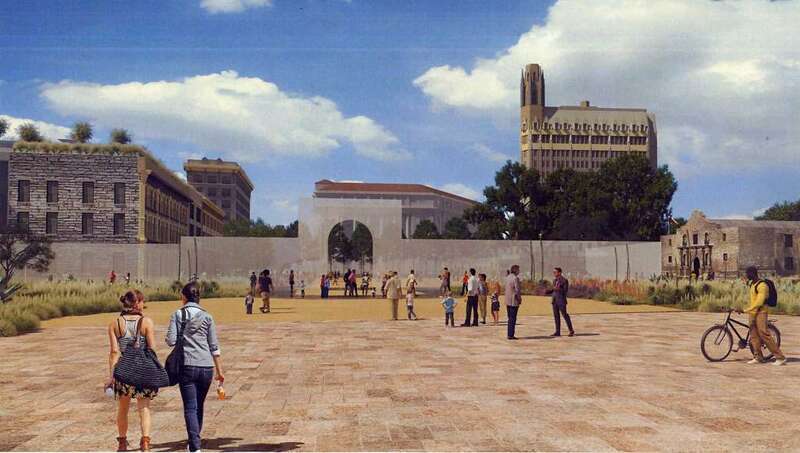 The arbitrary location of the north wall and the west acequia disrupt the plaza’s original character implying a much smaller space, which is not historically accurate. 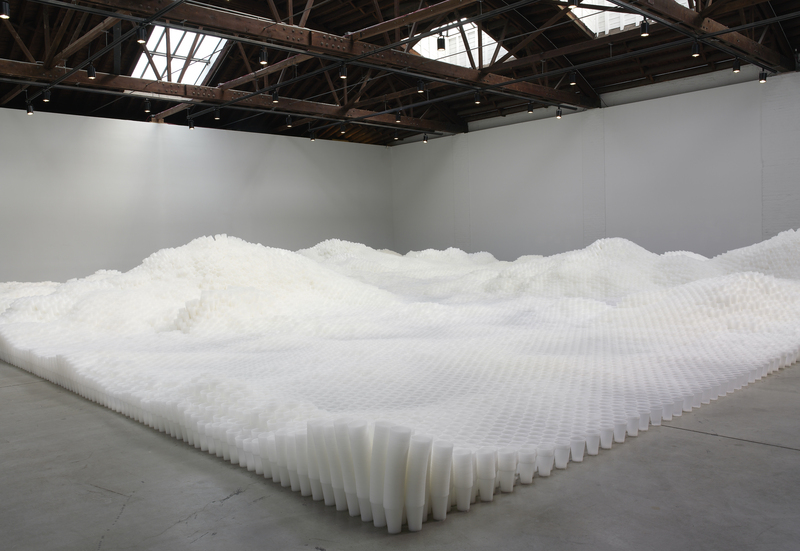 The walls exclude the community and disrupt connectivity, creating a place for visitors but inflexible to events that occur today. In this plan, it is no longer a community gathering place. Lake also argued that the plan only honored the Alamo Plaza of 1836 and "not the history of commerce in the plaza post-1836." His critique in full can be found here. If the master plan is approved, half of the sum required will come from San Antonio and the state, while the rest would be privately funded. A decision is due to be made on May 11. [UPDATE, 5/2/2017] This text has been updated from a previous version, published yesterday that did not include architect David Lake's critique of the master plan, which was also published that day. 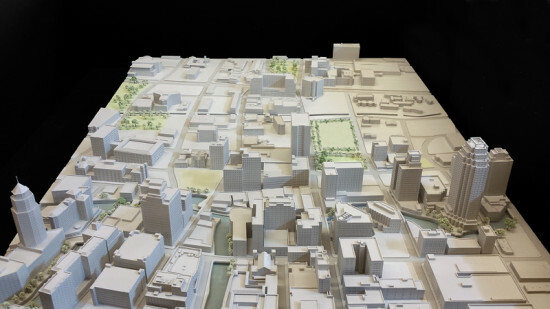 Further text from the signed architects' letter has been added to clarify their support for the "master plan process" rather than the master plan in its current form. 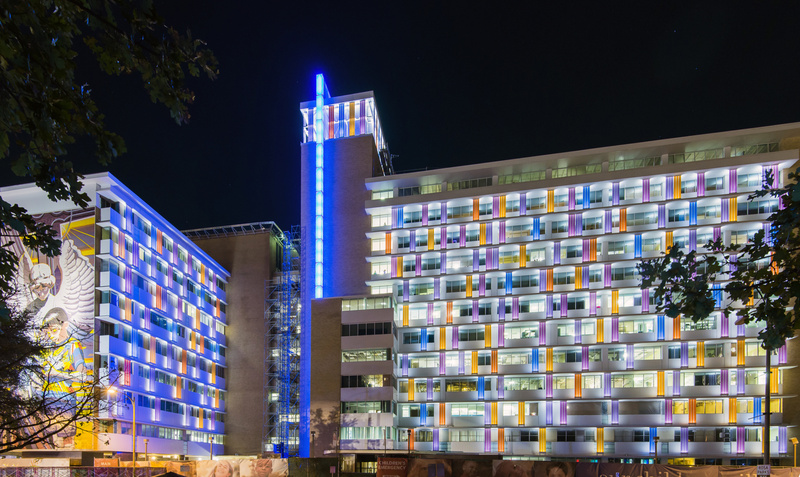 The Children’s Hospital of San Antonio is wrapping up an ambitious four-year $135-million renovation project to transform an existing downtown hospital campus into a fully dedicated, freestanding children’s hospital. The facility remained open throughout an intensive construction process involving interior demolition, relocating care units, exterior shell upgrades, and energy efficiency upgrades. A recladding concept, which extends the interior rebranding to the facade, is the most visible component of the project. The color palette is derived from a local artist’s mural on the existing structure became the basis for a rebranding strategy that seeks to improve visitor’s experience of the campus by benefitting the healing process and improving wayfinding. 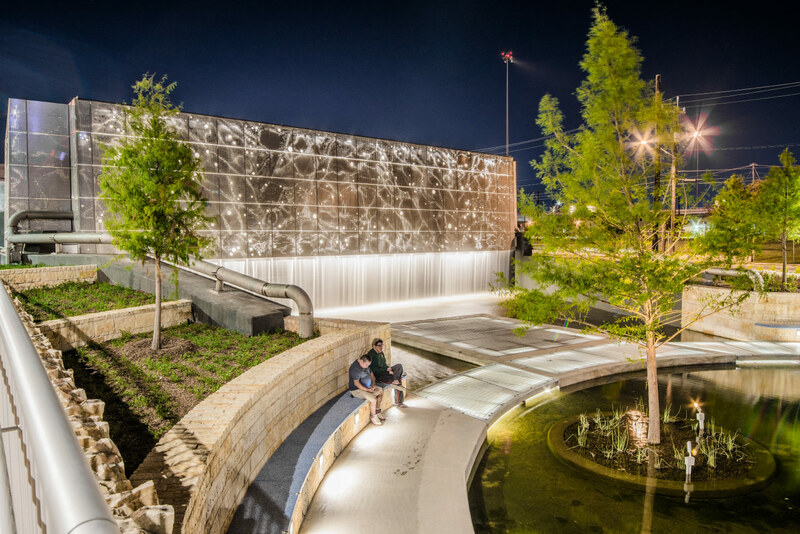 Colors are distributed onto the facade through a series of custom unitized channel glass assemblies that were the result of a close collaboration between Overland Partners, Bendheim Wall Systems, and Sharp Glass. The existing structure consists of five-foot concrete wings that extend out from the building envelope. With restrictive load limits and limited space for installation and maintenance, the design needed to be lightweight and convenient to assemble. Also, the team required a solution that could be manufactured in a range of custom colors, visible at long distances day and night. The project team developed a unitized modular strategy to consolidate three channel glass shapes into an extruded framework. Bendheim modified one of its existing systems to allow the glazer to preassemble the units in its shop so that the glass was bonded to both a head and sill extrusion. To ensure individual glass pieces did not make contact, the channels were set with a quarter-inch gap filled with a silicone backer rod and sealed with a translucent silicone. These units were harnessed together with a removable frame system developed by Bendheim in close collaboration with the architect and the glass installer. This allowed the units to be brought from the shop to the hospital, then strapped and hoisted into place by a three-person crew on each floor who would swing the unit into place. Units were lifted up into a pre-mounted head receptor and loaded onto an “elevator platform” that could be adjusted vertically to accommodate tolerance and deflection in the existing construction. This detail allows for movement over time without putting the glass units at risk. The adjustable, unitized system allowed the glazer to install, on average, an entire floor per day. Kris Feldmann, lead architect at Overland Partners, said that the value engineering presented a design management challenge to the project: “We saw the channel glass feature as something that was just as critical to the rebranding of the hospital and the work they were doing on the interior. One of the challenges of any project like this is that it is a very easy thing to remove as project budgets evolve. Having the owner’s confidence—because we had worked closely with the contractor, sub-contractor, and Bendheim—was really critical to keeping it on the project." The quarter-inch channel glass includes a ceramic frit that produces a unique translucent finish, allowing for sunlight penetration and providing a soft glow to patient rooms. At night, integrated programmable LED lights provide accent lighting for the facade. Several full-size panels were produced in a mock up to allow the team to confirm desired lighting details prior to construction. The units appear to be the same height from the exterior, but field-verified dimensions confirmed each floor height varied by several inches. This required every unit to be individually measured and coded by Bendheim to confirm a custom fit, and accurate color as specified by the architect. 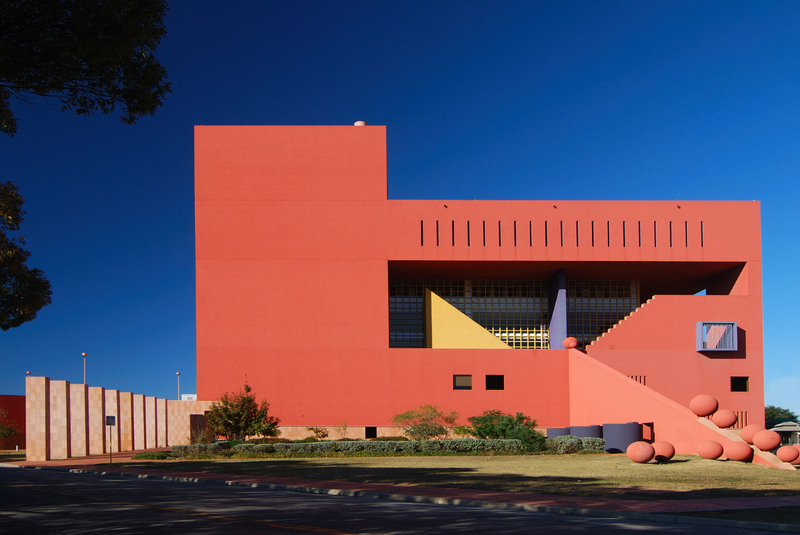 Beyond this colorful additive layer, most of the existing facade remained in place. The exterior shell includes replacement insulated glazing units and an interlocking metal panel exterior wall finish. 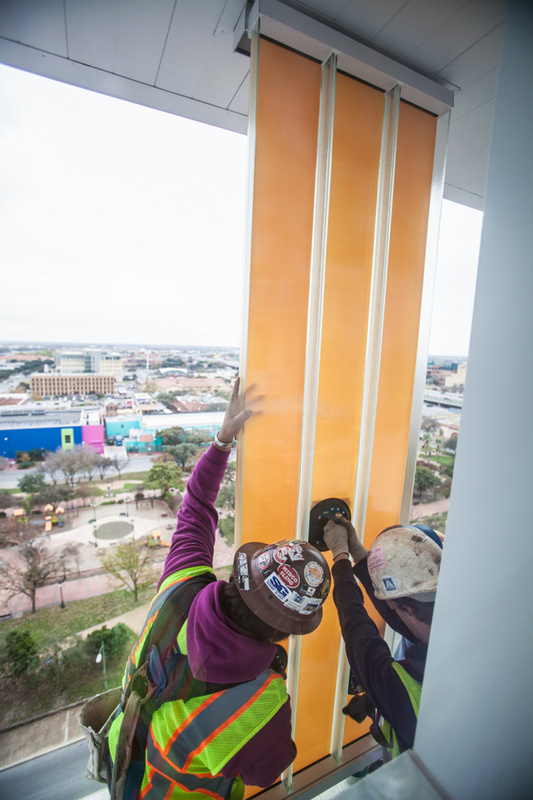 Replacement windows consist of interior glazed window units to avoid having to re-scaffold the entire building as floors became open for construction. While the exterior is substantially complete, some components of the project remain under construction, including exterior gardens that feature culinary, play, and prayer programming.